As a busy parent, you need all the help you can get. Teaching children takes time, effort, and a whole lot of creativity. 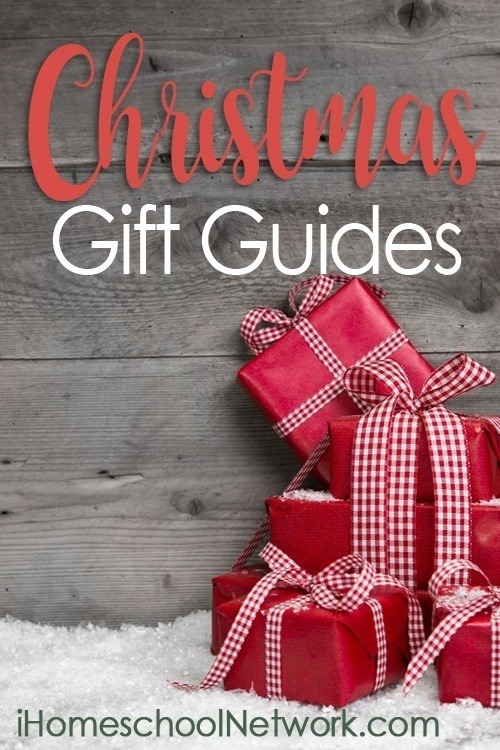 Why not add educational Christmas gifts to your homeschool arsenal? When Christmas shopping for your kids take the time to try something new. This year add some educational toys under the tree to help your child learn independently without even realizing it. These blocks are amazing for getting kids to sit and play for hours while you read aloud. 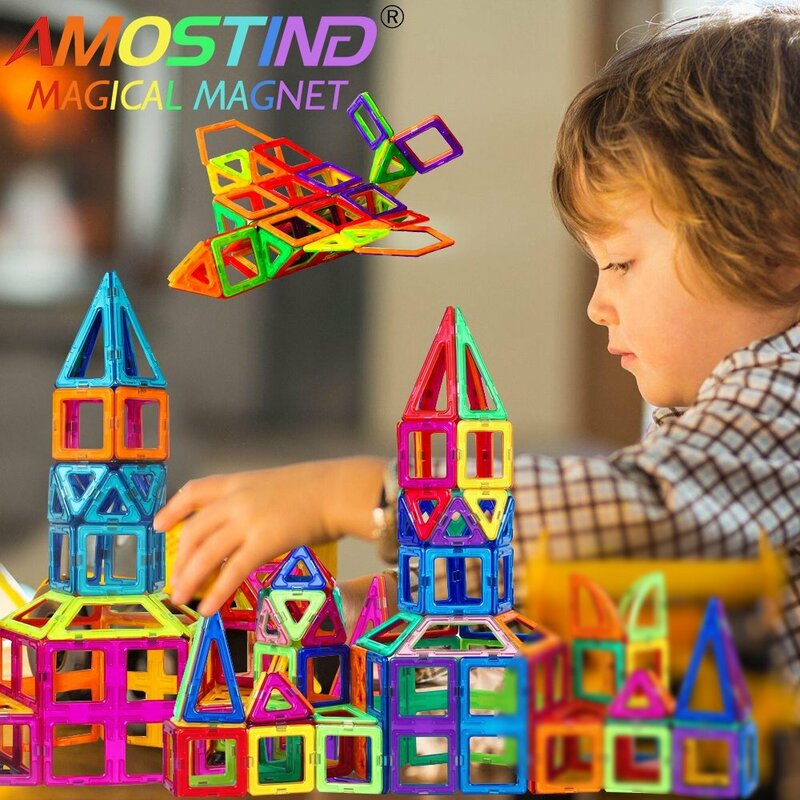 They can be used to teach complex 3D geometry, or building structure, model the structure of crystals, or just provide needed stimulation for kids to help them focus. Just playing with these will teach them so much. Logic is a vital life skill. One great way to teach logic skills is through playing games like this marble maze where they have to arrange pieces to create a maze that lets the marble through. Basic math facts are best memorized through repetition but worksheets are so boring. This board game is a great alternative and loads of fun and plenty of repetition to help with basic memorization. 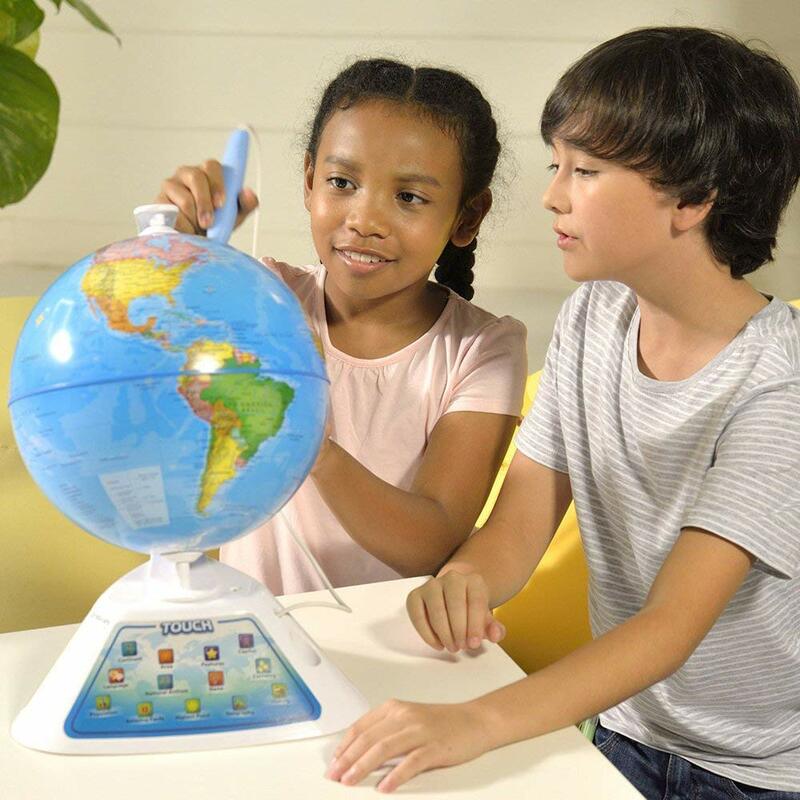 An interactive globe will keep your child buys and learning while having fun. These are great for teaching basic geography while they play and explore. So much more fun than just reading a book and this toy can be combined with any curriculum. Educational Insights MathShark: Master Math Skills! Kids love electronic games. If you need a solo game to help with repeating math facts in a fun and exciting way this Math Shark toy is upbeat and fast making it the perfect alternative to timed worksheets we used to have in school as kids. This toy will keep you busy all day long. This is a great way to work on robotics and coding skills for kids. Let their imagination run wild while they and learn. Need an educational gift for your Lego fan? 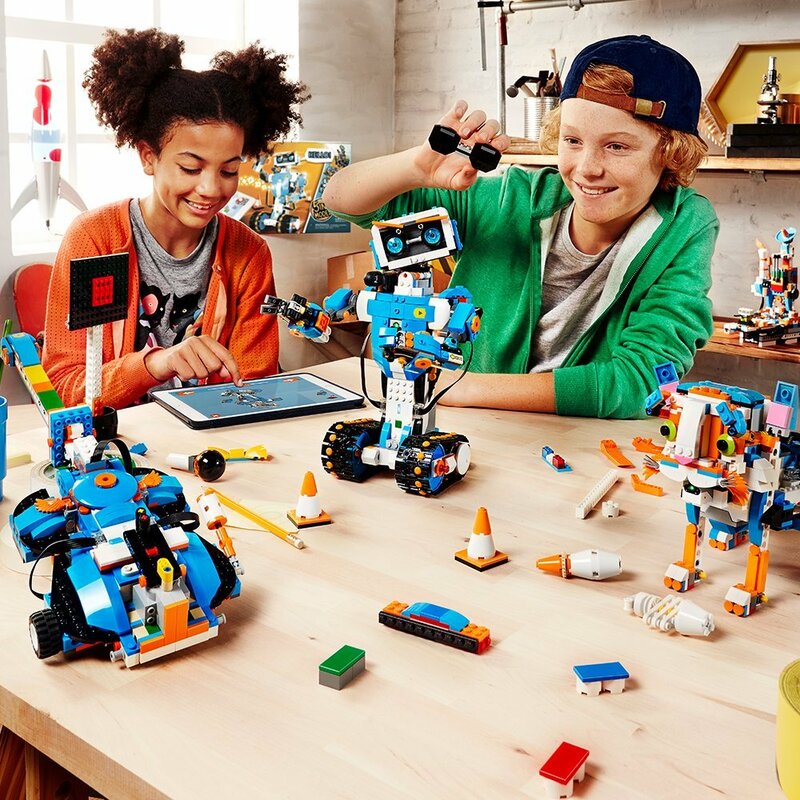 This Lego robot building and coding set is perfect for encouraging a Lego fan to explore and learn valuable STEM skills. Blow your child’s mind with science experiment after science experiment. These simple projects are sure to please any child wishing for a little magic in their lives. Young kids love to copy parents on computers and devices. this is a great alternative to giving your child a phone or computer to play learning apps on. Its safe and can go anywhere with your child. While designed for group counseling this card game is a great way to help kids become more mindful every single day. Help promote healthy social skills and self-care for a lifetime of mental and emotional health. 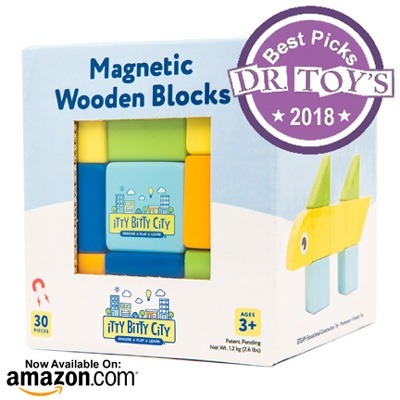 DR. TOY’S 2018 BEST PICKS AWARD WINNER: These Magnetic Wooden Blocks by Itty Bitty City were selected as one of Dr. Toy’s Best 10 Gifts in 2018! They are an open-ended educational building toy that promotes critical thinking, problem solving and logic at an early age. Your little ones will learn through play for hours! 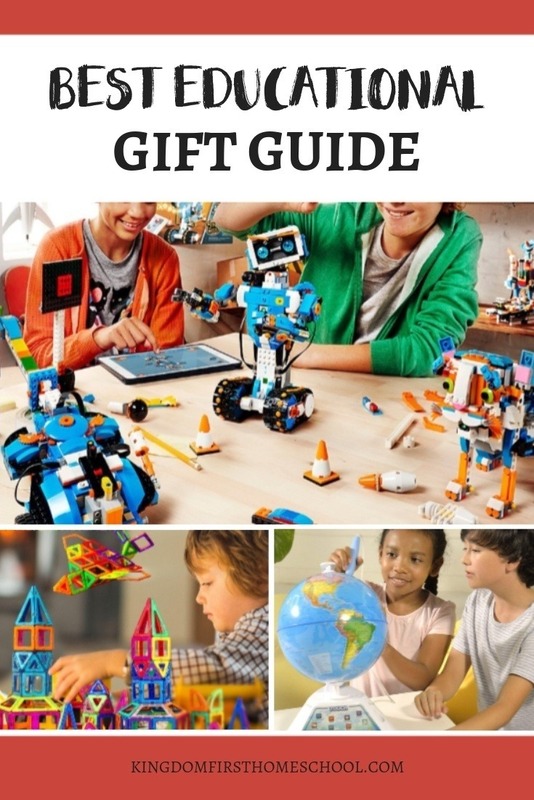 Hopefully you found the perfect educational gift for your kiddo, but if not here are a few more to browse and you can always check out this HUGE list of STEM toys for kids too! Here’s another GIFT GUIDE also. What is on your child’s Christmas list this year? Anything educational?